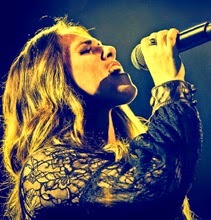 Scottish blues and roots musician Sandi Thom took the music world by storm in 2006 with her hit song, "I Wish I Was A Punk Rocker (With Flowers In My Hair)." Thom, www.sandithom.com, is currently working on her sixth album with well-known producer Val Garay, who has worked with a diverse group of musicians, including Dolly Parton and Bonnie Raitt. Fans of Thom will get the chance to hear her music on Sept. 9 in the intimate setting of Rosa's Lounge, 3420 W. Armitage Ave., Chicago. The show starts at 8 p.m. and tickets are $40, available at www.rosaslounge.com. I had the chance to talk to Thom about her current activities. Q - Great to talk to you. Happy belated birthday. Sorry to hear about the accident that injured your foot. But on the plus side, I understand you have been writing more. Any chance you might preview the new songs at Rosa's Lounge? I just recorded a new single called "Look Up" I think it's really going to be my next big hit! I may preview it at Rosa's! Q - You are working on your sixth album. How is that process going and what should people expect from the new album? How do you think your music has evolved over the years? I had to put in a lot of time and effort since the success of the first single to really prove to the critics and the public that I am in fact a real hard working musician and not a "one hit wonder" and so I think that steered my music in a different direction over the years. It was important to me to make music that was true to me and not just for the sake of commercial success. I think now that I have the critics and the public's vote, I feel my music will start to steer back in the direction of it's original more commercial sounding roots. Great songs, lyrics, all about vocals and rhythm. This new song that I've recorded really encompasses all that and includes hints of also all the lessons I've learned from the blues and from rock over the years. Q - Val Garay, who has worked with everyone from The Motels to Bonnie Raitt to Dolly Patron, is producing your new album. What made you pick him to produce the album? What do you think he brings to the table? We just came across one another rather on the off chance. It wasn't planned in any way. But that was also how I met rich Robinson. I feel like Val reads of the same hymn sheet as me, likes to be exploratory and create new sounds. I think we are going to make a fantastic record together! Q - Last year, you released an album called "The Covers Collection." How did you go about choosing what songs you wanted to cover? Are there any songs on the album you are most proud of? Honestly, sometimes when you cover other people's songs or at least attempt to, some songs just suit you and others just don't. I picked the songs I felt I could do justice. I stripped them back as to not be pretentious in any way, but to just sing the song and tell the story with the voice. These songs all have a special meaning to me also and have played a part in my life growing up as a lover of music. Q - The Internet helped you to achieve mainstream success. What do you think about the Internet today? Is it helping musicians more than it is hurting them? It's neither. It's just different: and it's important to figure that out and get with the programme. There will always be money to be made in the music industry, but you have to stay ahead of the game and get smart. Fundamentally, there are two things I believe will never change: You can never deny a great song and you can never replace a live concert experience. Q - You wrote an article earlier this year on how to make it as a female rock star. What are the challenges that females still face in the music business? There is most definitely still chauvinism in the industry. It's still very much a man's world, whether you play guitar or run the label. So as a woman you have to be very smart and very self-assured. Q - You had been the longtime girlfriend of Joe Bonamassa, no stranger to the blues music world. How do you think you have influenced each other's music? We are very much a couple at home, just being two people sharing our lives. It's more about the grounding we provide one another through the good and tough times that is of value rather than how we influence one another musically. We're both far too stubborn for that! Ha ha. 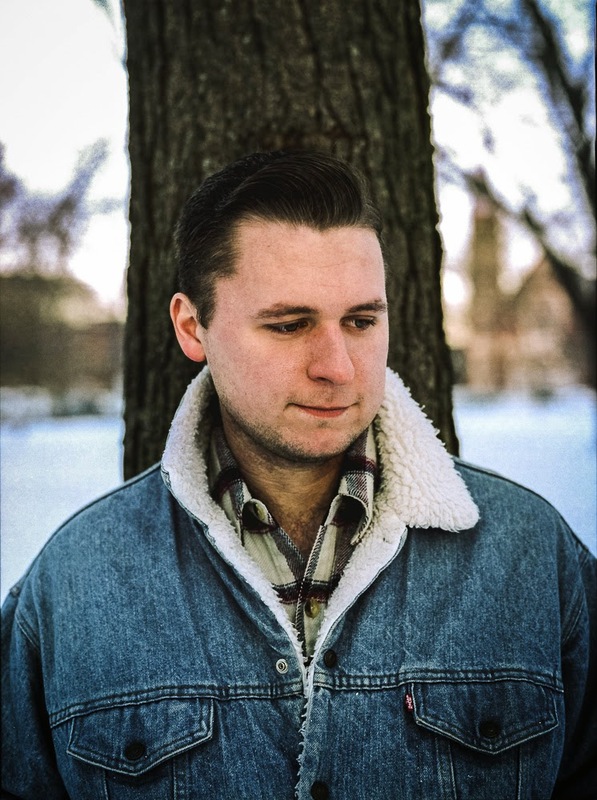 On his new EP, Chicago singer-songwriter Brandon Cunningham shows why he is an artist to watch. Cunningham's songs have an emotional connection that few other artists come close to matching. In celebration of the new EP, Cunningham will perform Aug. 21 at Schubas, 3159 N. Southport Ave., Chicago. Quinn Tsan and Adia Victoria also are on the bill. Tickets are $10. I had the chance to talk to him about the EP. Q - Great to talk to you. Of course, you will be playing at Schubas this month to celebrate the release of your new EP, "Give Out." In sitting down to make the EP, what were your goals and do you think you accomplished them? Essentially, I wanted to make something that was better than what I had done before and keep it to the point. Musically, I wanted to keep it simple but still make it interesting, and thematically I wanted it to be true to my life over the last few years. I think it accomplished that much. I definitely think it's better than the last record I put out. Q - It seems like you tried to step up the intensity both instrumentally and lyrically on "Give Out" compared to your full-length album. Was that one of your goals? Definitely. The first album was recorded when I was 19 or 20, so there's been a lot of time between that album and this one to develop and improve. I think a lot of it has to do with age as well. I'm much more critical of everything these days. It used to take me 10 minutes to write a song, whereas now it might take me months to actually finish one, which might not actually be a good thing. Q - I understand you sang in a gospel choir as you were growing up in Texas. How do you think your gospel roots play a part in your music? How was it opening for MC Hammer and what did you learn from the experience? I think that gospel music is all about the soul of it. You can't be in a gospel choir and not be soulful. You can't sing a solo in front of hundreds of Baptist church parishioners on the south side and it not be soulful. I think that's kind of stuck with me, even though I definitely don't play that kind of music. As for Mr. Hammer, I learned that he is indeed awesome…and parachute pants will rise again. Maybe. Q - I understand that you really didn't think of music as a career until you heard Bon Iver when you were 19. What was it about the band that had you hooked? What do you try to express through your music and would you like people to get from your music? I think it was how minimal that first Bon Iver record was. Musically and lyrically. But somehow it conveyed more feeling than stuff that was much more grand. I think I was listening to a lot of post rock before I heard Bon Iver, so to hear this record that was so emotional and mostly acoustic with this crazy falsetto; it kind of rocked my world. I wanted to do that. I wanted to write simple songs that would connect with people on such a basic level. I still try to do that. I hope people hear my stuff and think that it's honest, but ultimately I want it to be hopeful too. Q - How does the Texas music scene compare to the Chicago music scene? What made you want to move to Chicago? It's different for sure. Where I'm from (San Antonio) everybody knows everybody, and half of the people you know have probably played in your band or you've played in theirs. It's very concentrated, which is kind of nice. You know everyone that's going to your shows, and you always go see your friends' bands. It feels kind of small. Chicago is much more spread out. You might see a band from here play a show and then not hear from them for a few months until they play the next show or put out the next album. It's a very big city after all, with lots of good bands. I'm still basically a newcomer though so I don't know if I've totally figured out the lay of the land. I think there are a lot more opportunities for bands here to play good shows and branch out, which definitely contributed to me moving here. Smallish town kid in a big city. They could make a movie out of it. Also, I love deep dish pizza. Q - How do you think your music fits into the Chicago music scene? People here want honest, rootsy music, and aren't typically that into trends or fads, which is what I like about it. There's a lot of room for songwriters, so I think I fit well. My short term goals are pretty simple: I want to put this EP out and keep making strides here in Chicago and maybe branch out a little bit outside of Chicago. My long term goals are a little more complicated - I want to keep writing and recording, tour, and find some ways to make it all sustainable. 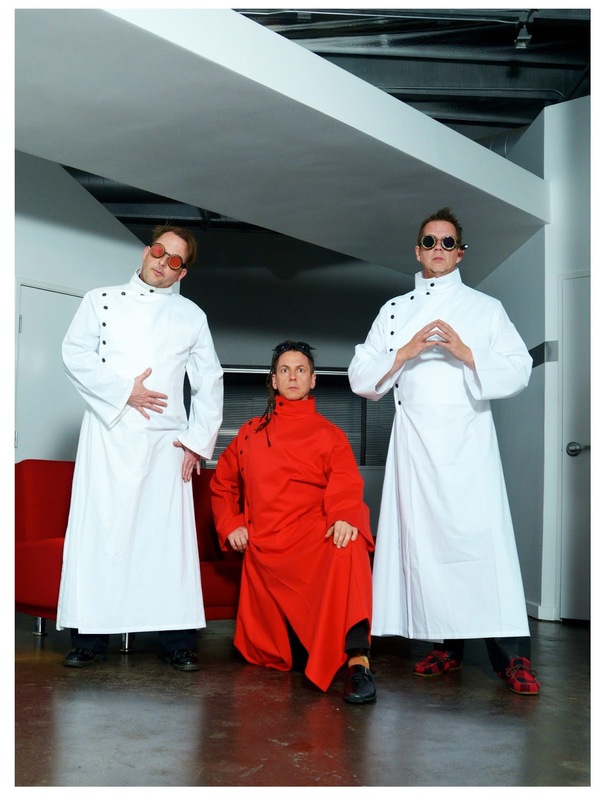 After bringing synthpop to the masses in the '80s and '90s, Information Society continues to make cutting edge music, as the group demonstrates on its latest album, "_hello world," set for release on Sept. 23. The album marks the reunion of the original founding members of the band, Paul Robb (synths), Kurt Larson (vocals) and James Cassidy (bass, keyboards). I had the chance to talk to Robb about the new album. Q - Great to talk to you. Of course, "_hello world" will be released in September. In sitting down to record the album, what were your goals and do you think you achieved them? Our goal was to make a new record that was discernibly 2014, but that was a comfortable fit with the rest of out catalog. Something that you might want to expect from us, but not necessarily something completely expected. Based on the reviews so far, I do think we achieved that. Q - Was it just the right time to get back to work with Kurt Larson and James Cassidy? Did the ideas flow easily after you guys reunited? It was the right time in the sense that we actually HAD the time, which has been a problem for us in the past. We all live in different cites, and have very different lifestyles, so getting together to record has never been easy. In terms of "flow", I would say this is our most successful collaboration to date. Q - When Information Society first formed, what did you set out to do? Why do you think songs "Running" and “What’s On Your Mind" resonated so well with the public? Like most kids who start bands, we were just emulating our own idols, and trying to be like them. Also, in guitar-centric Minneapolis, we just weren't hearing the kind of music we wanted to hear, so we decided to make it ourselves. In terms of "Running" and "WOYM," those came after several years of learning our craft, and applying our particular aesthetic to a pop format. It was a surprise, especially in the case of "Running," that they did so well. In places like New York and Miami, we are still better known for "Running" than for anything else. Q - You cover Devo's song "Beautiful World" on the album. How would you say Devo influenced the band's music? What was it like working with Gerald V Casale of Devo on "Beautiful World?" Devo was one of our biggest influences. If you go back and listen to some of our earliest live performances, like on the "Apocryphon" album, you can clearly hear the Devo influence. If you draw a triangle with Devo, Kraftwerk, and Gary Numan at the corners, the middle of that triangle is where we wanted to be. Working with Gerry was a blast. He's an effortless pro in the studio, and we recently had him onstage with us to do a guest vocal on "Beautiful World," and that was definitely a peak experience for all of us in the band. Q - What are the band's plans for the rest of the year? Are you going to be touring in support of the album? We will be doing as many dates as we can; I don't know if I would go so far as to call it "touring." We also have a few more recording projects up our sleeves. Q - The music business has changed so much since Information Society first formed. Would you say it is easier or harder to be a musician these days? It is both. It is easier to actually record music and get it "released." But it is harder to have a career. It's like a lot of things these days: the industry still exists, but fewer and fewer people are actually making a living doing it. Q - Your record label, HAKATAK International, has several artists signed to it. What are your goals for the label? HAKATAK was originally just a joke. It was a way for the band to release music under a different name (Think Tank). One Think Tank track ("A Knife and a Fork") actually went Top Ten in the UK in the early '90s. Later, it became a way for me to release less-commercial projects without any interference from business people, which is what it remains today. Q - Besides the artists on your label, are there other artists out there that you admire what they are doing? Are there any artists that you would like to collaborate with someday? Q - Where do you see Information Society going from here? By putting its own stamp on gypsy jazz, Chicago band lePercolateur is helping to keep the area music scene fresh and vibrant. 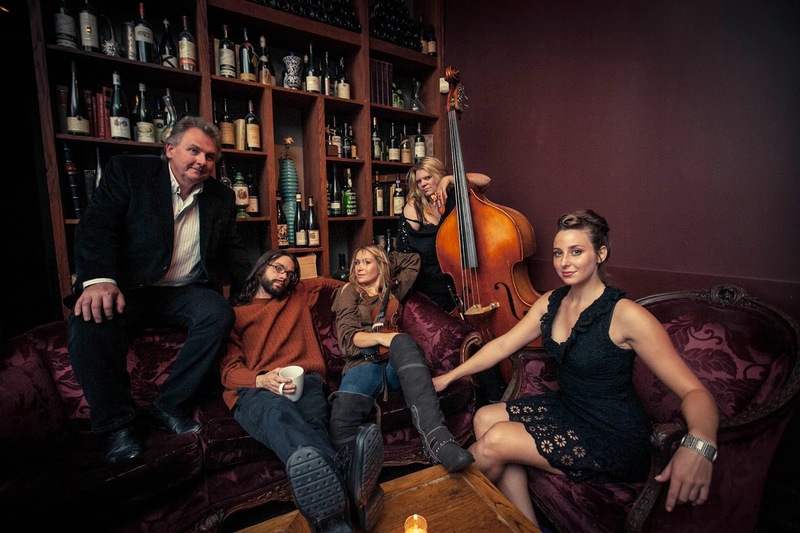 lePercolateur, www.chicagogypsyjazz.com, will perform Aug. 15 at Skokie Theatre, 7924 Lincoln Ave., Skokie. The show starts at 8 p.m. and tickets are $25, available at Skokie Theatre's website, www.skokietheatre.com. I had the chance to talk to Stacy McMichael, who plays upright bass in the band, about the upcoming show. Q - Great talking to you. It seems like the group has been fairly busy this year. Any highlights from the year so far or any gigs that you are looking forward to? lePercolateur has indeed had a very active 2014. We have been fortunate to play at some of our favorite venues, and are looking forward to playing at the Skokie Theatre on August 15th. It’s our first time in the venue, and we are beyond excited. Q - I understand that the group came together through Craigslist. Did you guys click from the very beginning? What made you want to be part of the band in the first place? To be perfectly honest, I had not had much exposure to the gypsy jazz genre, and the instrumentation sounded really interesting. A group with violin, guitars and no drums? It was so different, I just had to answer the ad. I specifically remember playing “Dancing in the Kitchen” at that first rehearsal, and we all just ‘knew’ it was right. Q - Last year, the band released its first full-length album. What were your goals for the album and do you think you accomplished them? Was it important to the band to release the album on a local label like Chicago Sessions? Some of the songs on "Pop Manouche" have been in our repertoire since the beginning. It was important for us to document those songs, but also breathe new life into them. Each song had to stand on it’s own, and a couple of the songs ended up drastically different that day. The bluesy feel on “Darlin’,” for example, was an in-studio decision. Likewise, the third verse of “House” was written the day before we went into the studio. I think the album is a perfect snapshot of the band at the time. Working with a label like Chicago Sessions really allowed us to be, well, US. Nick Eipers is fantastic to work with, and his guidance was just what we needed. The album version of “All I Want is You” is a great example of Nick’s input. I’m not sure we could have had that kind of support and freedom on another label. Q - lePercolateur doesn't sound like a traditional gypsy jazz group. Would you say that is because of the variety of influences within the band? What is your approach in blending traditional gypsy jazz with other genres of music? Traditional gypsy jazz is fantastic, but to only play something to the letter isn’t really our style. lePercolateur’s instrumentation is traditional, and we use the genre as a starting point, but we also put our own personalities into the mix. At the heart of jazz is improvising and reinventing. I think because of our different musical journeys, the band can take chances on the fly (sometimes multiple times within a song). Some of our best arrangements have stemmed from ideas within a solo. Beyonce in the middle of Duke Ellington’s “Caravan” – why not? Britney Spears “Toxic” as an underscore to “Besame Mucho” – sure! Bringing the listener right to the edge of what ‘might or might not work’ is part of the fun. Q - Stacy, you also teach music at Saint Xavier University. What are some of the things that you try to stress to your students? I want my students to be versatile. Learning one genre is great, but I want my students to be exposed to as much music as possible; classical, jazz, soul, funk, rock, etc. Having these fundamentals at your disposal can help you if you happen to paint yourself into a musical corner. It’s best to be prepared for everything since you never know what the next gig will be. Q - What do you think of the Chicago music scene and where do you see lePercolateur fitting into it? Chicago has a very vibrant and diverse music scene. People can go out any night of the week and have a ton of options for live music (hopefully they will choose a lePercolateur show). I think of lePercolateur as somewhat of a chameleon. We tailor our sets and mood to the venue and fans. Sometimes the vibe calls for more jazz standards, sometimes more gypsy-fied pop tunes… you never know. lePercolateur’s sound is unique because there is a little bit of everything in the mix. We can play Andy’s Jazz Club and Martyrs one week, a swing dance the next, then a jazz festival, and end up at the Mayne Stage or Skokie Theatre (on Aug 15th). It’s never the same show twice!